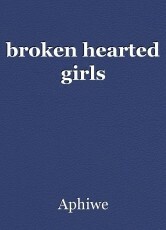 this short story is basically about a girl who fell in love and got her first heart break. so this has been a very emotional rollercoaster . © Copyright 2019 Aphiwe. All rights reserved. This page was created in 0.4096 seconds.